That’s a gosh darn good question and to be honest, I don’t have a golden bullet for you here. I’m still figuring it all out but I can tell you that I’ve made a little bit of money so far. I’m not afraid to share what’s worked and what hasn’t worked for me. I’ll even spill all the details on how much I’ve made so far. Learn about the different platforms to earn money. That way you can start testing. What works? What doesn’t work? Get your readers used to the idea of you having ads. It’s not some sort of cardinal sin to have ads on your blog. Every established blog out there has ads so if you’re afraid of diluting your blog with advertisements, I wouldn’t really be worried. In my mind there are three ways of making money early on. This is probably one of the first forms of advertising you thought of when you saw my post and yes it’s probably the easiest to implement right away. These are the ads you are already seeing on almost every site you go. The reason why it’s so popular is because of how easy it is to get set up and see a slow trickle of money come in. You don’t need a blog with a minimum number of page views or posts. It’s completely agnostic to what you’re doing. As long as you have a site to serve ads, you’re good to go. The way it works is that Google analyzes the page that the ad is on and searches for keywords. Based on those keywords, it’ll deliver ads relevant to the page. For example, if my blog post is saving money on flights, it’ll try to deliver ads on flights. The other layer of this is that Google is constantly tracking your activity on the internet so if you recently checked out Hilton’s home page, it’s likely you’ll start seeing ads for Hilton. You can get up and running relatively quickly. Sign up, plop in the code and it’s ready. Everyone’s getting a lot more internet savvy today and the chances of someone clicking on your ads are going to be slim. I would recommend setting up a blog specific Gmail email account just to separate it from your personal stuff. Big word of warning here. 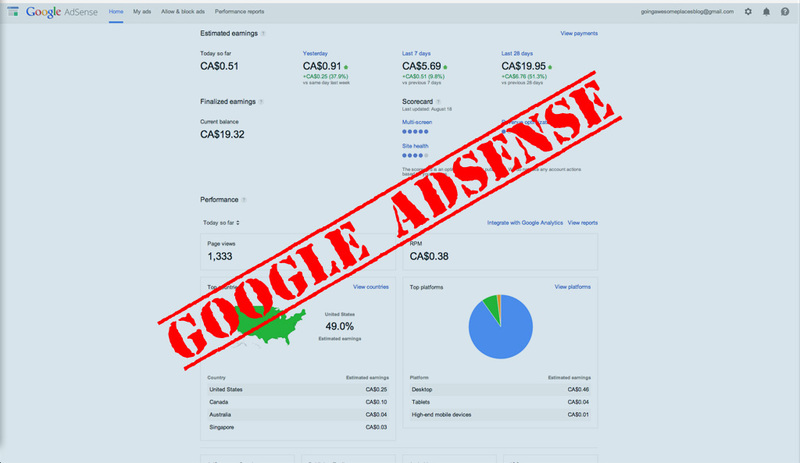 DO NOT mess with Google Adsense. They are extremely serious about people violating their rules. So that means don’t click on the ads and don’t get your friends to click on ads. Once they find you out, you’re instantly banned without any forgiveness. A lot of people make the mistake of setting up their blog with way too many sections (side bar content, blogroll, etc) which ends up confusing Google with what keywords to pick up on. Irrelevant ads = no clicks. SEO is so important because if people are Googling something and your page shows up, you have incredible amounts of “intent” as a result of someone viewing your page. These readers and thus more likely to click on a relevant ad. Lastly, although Adsense is easy, you have to think about whether ads like this are right for the audience you’re writing for and how receptive they’d be to ads and the probability of clicking. I’d recommend getting the Google Publishing Toolbar extension on your browser (i.e. Chrome). That way you can always check how you’ve been doing without having to log onto the page. What the Google Publisher Toolbar looks like. Click the button on the top right of the browser and this pops up. I was contacted by SwitchAds a few weeks ago to join and I’ve been testing out their platform. They’re interesting in that they layer on top of any of your existing ads (Adsense or traditional banner). The idea is that if an advertiser is willing to pay to have an ad placed on your page above your set threshold, it’ll intelligently replace your existing ad with theirs. If not, your readers will continue to see the ads that you normally have in that spot. Their video explains it pretty well. Again it’s quite easy to set up. I entered in some basic information and had to swap my ad code on my blog to point to SwitchAd’s and that was it. I’m still trying to determine if something like this is even worth the time as we’re talking about pennies here so far but i’ll continue to monitor. Don’t quite have any tips here. It is kind of like a “set it and forget it” kind of thing. I’ll check the dashboard once a week and that’s all. 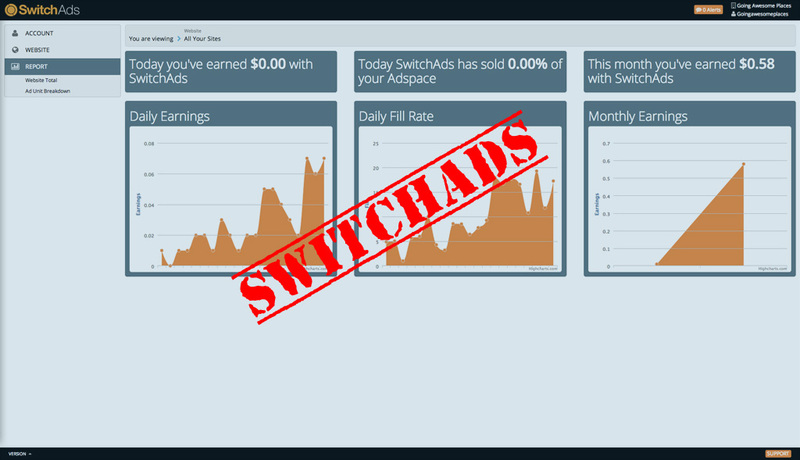 Keep in mind that you’re not going to see SwitchAds show up right away. It takes some time for your ad blocks to show up in their inventory for advertisers to buy. I didn’t see ads start coming in sporadically until a day or two later. NOTE: I have since stopped using SwitchAds as of October 2014 as they weren’t making anywhere close to another network I started using, Sovrn. Until I started blogging, I didn’t realize how deeply rooted affiliate sales is throughout the net. Everyone and I mean everyone is taking advantage of affiliate sales. It’s a brilliant strategy because what vendors will do is set up an affiliate program as a way to broaden their reach. As a publisher (i.e. a blogger), when you sign up, the deal is that if you can get someone on your site to click on a specially coded link and then actually buy something, you make a commission off that sale. It’s a win-win for everyone since the vendor can reach an audience that they might not have been able to get to and you get a cut. Depending on the program, there can also be a pay out based on impressions (how many people see the ad) or just clicks but so far I’ve found that most programs require someone to actually buy something. Using sophisticated tracking technology, the affiliate link a reader clicks on follows them for a period of time. So say a reader clicks on an Amazon affiliate link on your site. They may not decide to buy something right away. Maybe they come back in a few hours or maybe they end up browsing around to an entirely different product. The tracking stays alive and once they check out, you’re golden! If you look at forum sites like Slickdeals, Fatwallet or RedFlagDeals, you start to realize that every single link on their site is an affiliate link. That and display ads are their entire business model!! I’ve found that embedded text links to be the most effective. I can bet you that 80% of the population doesn’t even know about the existence of affiliate links which is why people are so willing to click on them. Scenario: You read a cool article reviewing this new travel gadget. You want to know more so you totally click on the link to take you to the product page. If it’s Amazon, you’d totally be okay with it because you probably would’ve checked there anyways. You decide to make a purchase and without you even knowing, part of your payment automatically gets funnelled to the publisher of the article just for referring you over. Now lets go through 2 of the main affiliate programs I’m part of. There are programs out there to be sure but make sure what they have in their inventory is related to your blog. The grand daddy of them all. Who doesn’t buy from Amazon these days? It’s so natural for someone to link an Amazon product page anyways so why not make money while you’re at it. 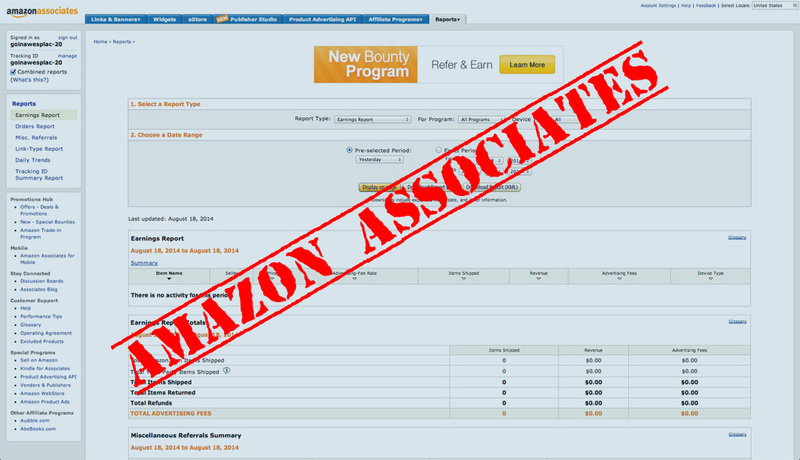 With an Amazon account, you’ll be able to sign up for the Amazon Associates program. There are lots of options for how to link back to Amazon but the most popular one is a pain text link. Find the product you want to link to, grab the special code and drop it into your blog somewhere. This works particularly well when reviewing products or talking about your favorite things. Other options are banner ads and widgets where you can do some neat things around displaying a collection of products you want to promote. In terms of payout, you can either elect to get paid in Amazon gift cards (minimum $10), by cheque (minimum $100) or by direct deposit (minimum $10) if you’re in the US. The great thing about Amazon and really affiliate linking in general is that you don’t have to rely on impressions and clicks to make money. All you really need are a handful of readers that click on the link, and make a few big purchases. You rely less on the randomness of users clicking on ads. 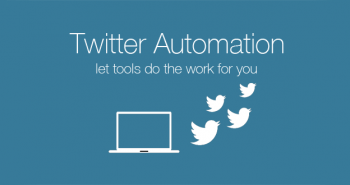 You’re in control when it comes to affiliate sales. If you write a good post that drives people to click on the product link or image, you’ll make money. The tracking stays alive for 24 hours and as long as the user ads an item into the cart because they went through your special link, you’ll be paid. I find that it’s a bit complicated to understand what constitutes as purchase that counts for affiliate commission and what doesn’t. I’m constantly confused with why I see orders and purchases from my links but don’t get result in any commission. Relevant ads to the content. SEO is the biggest part to having success around affiliate sales. Again, it’s all about “intent”. If someone discovers your blog post on a product review of something they’re looking for, they’re likely to want to learn more and click on any links you embed in your post. So write good posts, optimize them for SEO so people can discover them. It’s all about targeted traffic. Affiliate links (both text and image) work best when embedded into the article itself. If you use the links in the form of a banner or sidebar ad, you’ll get similar interaction as you would with something like Google Adsense. Turn on an option called “Site Stripe” so anytime you’re on Amazon, there’s a thin bar at the top which can quickly get you to the links you need to promote any product. Commission Junction is one of many companies that house a massive collection of ads from big companies like Lonely Planet, Expedia, TripAdvisor and G Adventures. 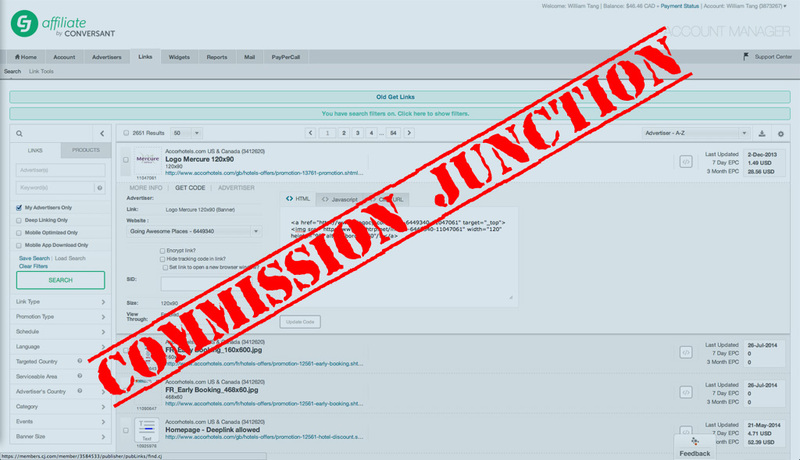 Alternatives to Commission Junction are Linkshare or ClixGalore. Where Amazon Associates is only Amazon inventory of products, by joining a program like Commission Junction, you get access to hundreds of big brands that you never would be able to get to if you tried to reach out to them on your own. There’s no cost to joining and no minimum requirement but most companies have a manual approval process. Once you request approval, the affiliate rep will review the application and approve or reject you. When I first started I did get a few rejections. Whereas Amazon is focused on products, Commission Junction is a great platform to access those travel related companies. Huge inventory. There’s a bit of work involved in managing the ads. At one point, I periodically would check Commission Junction to see if there were new ads I could use and I would switch the ads on my site. The problem I found was that it was the same ads on my site all over. Eventually I discovered Simple Ads Manager which I talk about in my blog post about the top 10 plugins you should know about which helped me manage which ads would go on which page and rotate ads instead. 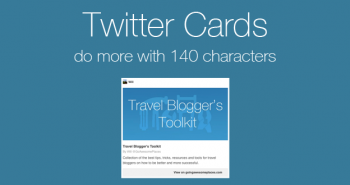 Through the plugin, I could do things like target the Hilton ads to my hotel review blog posts. That was something you couldn’t do out of the box in WordPress. The platform can be a bit daunting at first so be patient when it comes to learning how it works. Just like Amazon Associates, you want to be smart about where the ads go. The most effective ads are the ones that are placed in line with the post. Think targeted. For intelligence around ads outside of the post (i.e. 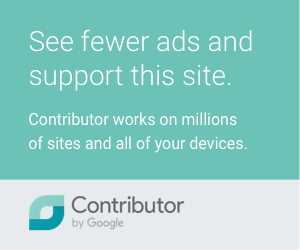 sidebar, header and footer), use a plugin like Simple Ads Manager. If you want to see the most popular ads, sort the ads on Commission Junction by CPC (cost per click) across 3 or 7 days. In the affiliate world, there’s a term called EPC (earnings per 100 clicks) and they calculate a value based on all the affiliate publishers for the past 7 days and 3 months. If the EPC is $10 It doesn’t necessarily mean that you’ll make $10 for 100 clicks. But what you can get from this stat is that this particular ad has done very well system wide the higher the EPC value is. So what I do when I search for ads from a specific company, I’ll sort it by either the 7 day or 3 month EPC. This way I can start looking at ads that have done well first. Sorting ads in Commission Junction. Outside of private sponsorship, I feel like this are a of minimization is slowly going to diminish mainly because of changes to Google’s algorithms. Officially selling links on a site violates their policy so technically none of it is allowed. But of course, it’s pretty hard for Google to find out and so people took advantage of that. All that change in recent updates as Google started to improve their detection algorithms. Sites that were discovered to put out low quality content via sponsored posts or poorly placed links were heavily penalized. Sponsored posts and links are extremely enticing because people are willing to pay you $50-$100 to put up some content or a link on your site and you get paid immediately. It’s really hard to say no but you really have to make a decision about whether it’s something that fits your blog and will your readers mind? Some travel bloggers are okay with it and some despise it. You’re the master of your domain so it’s really up to you. Personally, I accepted a few of these earlier on for some quick bucks but quickly learned it wasn’t for me. I still field offers for sponsorship once in awhile but I’ve set my minimum price to be quite high ($100). I am also noticing a decrease in the number of emails I get for this which goes back to my point about how I think you’ll see less of this in the future. That being said, although it isn’t quite the wild west it was before, there’s still some gun-slinging action to be had here. I’ll go through the 3 types I know of below. There are a ton of ways to go about this but in essence, company A wants to boost it’s SEO or promote their product or service. So to market it out to the net, they seek out sites to plant their links. The company or whoever is running their online marketing will flat out pay you money to have a link put up somewhere on your site. If you’re keen on pursuing this, you can find certain marketplaces for them. I am not familiar with many so you’ll have to do a bit of hunting on your own. One platform I did try was something called LinkLift. They approached me to join and so I tried them out. I ended up getting two gigs with them where I had to drop links for big travel companies on my site. And for my troubles I got paid 50-60 GBP. You really have to tip toe your way around Google in order to not get penalized. You can damage your credibility if readers start seeing a lot of forced and unnatural looking links. A lot of people see this as a cop-out. If you’re going to link to something, make sure it’s to a quality page. Don’t ever link to a spammy page. Spam and illegitimate sites are on the top of Google’s watch list and if they see you linking to them, they could totally strip any page rank you have. An easy way to do that is to just check their page rank. Download an extension like “SEO for Chrome” if you use Chrome. Don’t even bother with the link if it has nothing to do with travel. That’s a pretty clear red flag for Google. Pricing wise, most people charge by the month since the link will be up for a period of time. I’ve seen people charge $20-$40 per month. Nomadic Matt says that he finds most companies won’t pay more than $400 a year. Just say no if it’s not a fit and move on. This is very similar to selling links except these clients want to submit an entire post that they write on your blog. A lot of the good, the bad and tips for success follow “Selling Links”. What I really hated about sponsored posts was that the content I put up stuck out like a sore thumb. The post on cruises was a sponsored post and so was my post on Tokyo and Belfast. If you check them out, you’ll see what I mean. The funny thing about a few of these is that some of them came back to me months later after that big Google update and either told me to take down the link that was embedded in the post or told me to add a rel=”nofollow” to the code. That snippet basically tells Google to not crawl that link and create that “backlink”. All of these opportunities came through e-mail for me and will probably be the same for you. Now this is the most legit out of all of these. Some call this private advertising but I bundled this into sponsorship because it’s really when a company comes to you and says they’d love to pay to have their banner ads placed on your site. It’s not sneaky like a sponsored post or embedded links. They see the value in your readers and want to promote their brand or what have you on your blog – the basis of fundamental display advertising. I personally haven’t had any opportunities along this line but a lot of the established bloggers will have examples of this. Opportunities for larger sums of money. 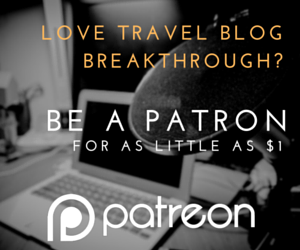 As an starting point, Nomadic Matt charges $75-100 a month if it’s an ad specific to a page. If it’s site wide, he’ll charge by CPM (cost per mille) which means cost per thousand views and at rate of $1.50 to $2. 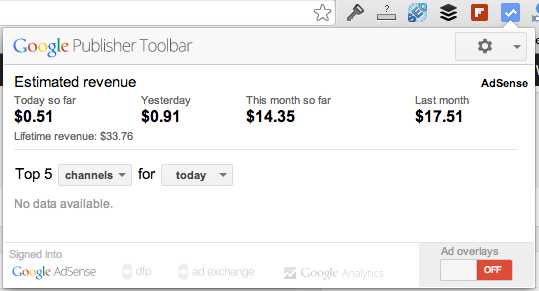 So if you get 50,000 page views per month, that comes out to $100 (50,000/1,000 x $2) in advertising revenue for you. Not really for the young blogger. These advertisers are typically looking for blogs that reach 5,000 or more visitors a day. I only get 700 a day so I’m not even close to that yet. Not something you can look for. Most of the times they’ll be wanting to find you. Not much you can do other than to continue to work on building your blog and drive in more readers. My earnings aren’t anything to write home about but I’m all about transparency and I think this’ll give you a good idea of what’s worked for me and what hasn’t. Ultimately I hope this provides a little inspiration! I currently have $46.46 of unpaid balance with Commission Junction. So if I add that all up, over the past 2 years of running my blog I’ve made a whopping $676 which to be honest is more than I thought I’d ever make from travel blogging. It only goes up from here right? This has easily paid for my domain and hosting costs. If you’re an early blogger, there’s actually a ton of ways to start monetizing. Start early to learn which ones work for you and which ones don’t. Some methods are a bit more “shady” than others. Decide what works for you and what your minimum threshold would be to accept any deals that may come up. The ultimate driver for monetization still comes back to building solid content and proper SEO which in turn increases your views per month so work on THAT above all else. 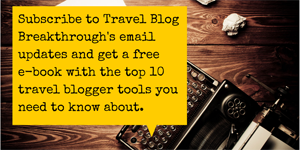 For all the best tips for travel blogger’s, head over to Travel Blogger’s Toolkit central. Hey will great informative post. Very in depth. RD recently posted…The Secrets To Monetizing Your Blog So You Can Earn Cash Money! Thank you for the great tips. I start using it on my blog. really like your site. I’m just trying to get my website/blog going and your ideas are very helpful.